British jewelry designer Ruth Tomlinson creates ethereal treasures imbued with an otherworldly sense of a bygone era. Driven by her passion for the earth’s treasures, tiny intricacies and small imperfections, she seeks out the unconventional beauty within which fuels her creativity, whether in the rarity of material or a curiosity in nature. She believes that each piece of jewelry should be unique, like each of us, and this is how she likes her jewelry to make people feel. Every jewel is crafted in her central London workshop, resulting in modern classics that evoke a sense of wonder, ready to be filled with their own stories throughout our lifetime and for generations to come. Since graduating with an MA from London’s Royal College of Art in 2005, Ruth continues to investigate the unpredictable and push boundaries of perceived preciousness in her critically acclaimed jewelry collections. She is considered by industry experts as one of the leading influences in the current generation of UK jewelry designers, and her unique designs and luxuriously wearable adornments are conceived with the notion of being treasured forever. 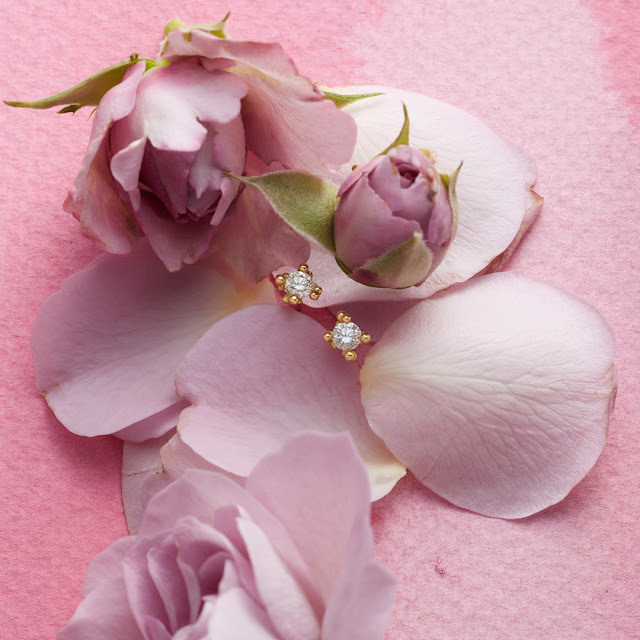 Watch the video below on Ruth's inspiration and shop her Bubbly Diamond Earrings here.